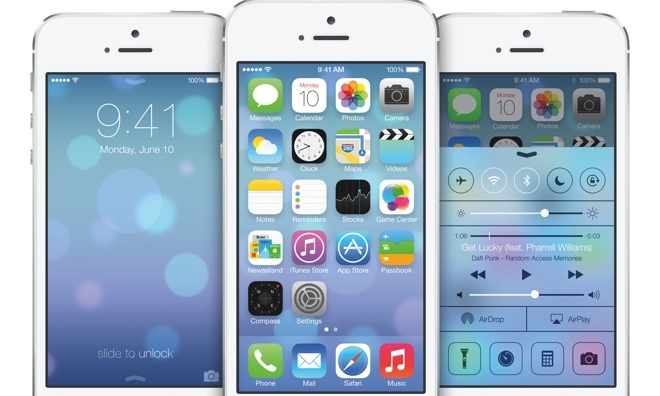 On September 18th Apple’s newest update will be released, iOS 7. For the first time in 6 years Apple has completely redesigned their operating system. CEO Tim Cook is confident in the changes they have made to to the current software. Apple’s newest operating system focuses on simplicity, further aligning it with their campaigns. The new system features built-in camera filters, 3d layers, iTunes Radio, and convenient menus. The notification center has the option of “today,” “all,” and “missed” which now will also draw in your calendar insuring you don’t miss a beat. A unique feature to the operating system is the phone’s ability to recognize your most popular apps. The phone will now prepare your apps to be opened before you actually open them, minimizing any annoying wait-time you had to put up with in the past. In addition to these features, the control center is now available from any screen on your phone by swiping up from the bottom. This feature will allow you to toggle airplane mode, play your favorite music, get to the camera, calculator, or Bluetooth. Do you think the new iOS layouts will change the way technology is laid out from now on? Concerting to 3d effects, skinny fonts, and simplistic styles?